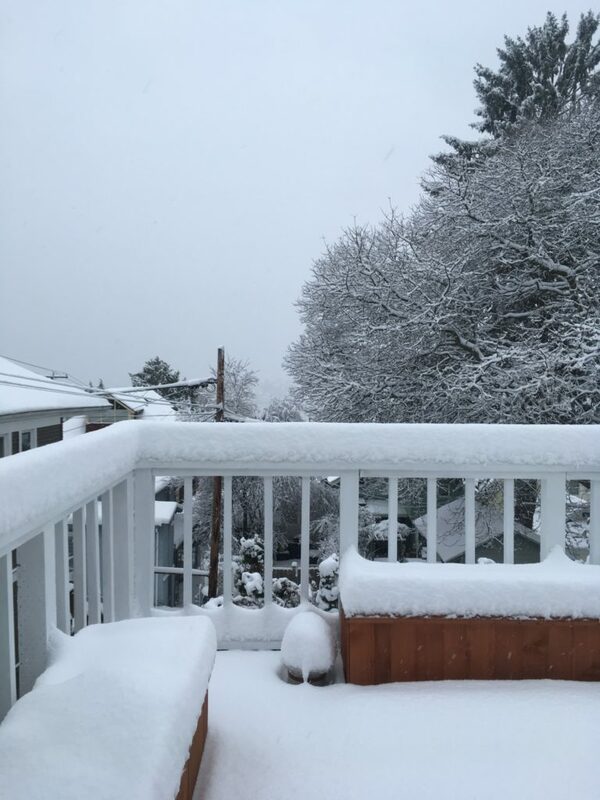 It snowed in Seattle yesterday, which means we had to cancel the OSSCS concert that was to take place tonight, the fourth of our season and the third in our series examining the work of Lili Boulanger. SCHÜTZ Alleluja! Lobet den Herrn! It’s a wildly eclectic program spanning 900 years of music, performed in five different languages, but I’m telling you – it works! There are two pieces on the program that share the same text: Heinrich Schütz’s Alleluia (1619) and the last movement of Stravinsky’s Symphony of Psalms (1930), the text being that of the 150th psalm. It’s immediately clear a) that we’re in two totally different sound worlds and b) that Igor Stravinsky has an awfully dour way with the word “Hallelujah”. In fact, Stravinsky’s setting of this whole text is quite peculiar, and a case could be made that it’s hardly a musical setting of the text at all, and more a symphony to which words were appended. I’m not saying that a composer has to be literal with their word painting, but this psalm invites it brazenly, and it’s a bold choice to ignore it outright. Apparently Stravinsky was even embarrassed that he had written something so literal, which may well be, but it’s worth pointing out that this text contains not a single mention of a horse, a chariot, or the prophet Elijah. We’re composers of the same generation who mainly write in the sphere of tonal music, and what’s more, we both use some of the same techniques, one of which is writing in parallel harmonies. Right from the start, you’re getting parallel harmonies – a G-flat major chord moves up to a B-flat minor chord, same voicing, all the parts moving in parallel motion. Another way of putting it is that she’s writing melodies, but instead of using single notes, she uses stacked chords. This is something that I do a lot, but whereas Shaw’s writing (in this piece) tends towards modality, mine tends towards chromaticism, since I most commonly maintain the chord qualities with each melodic move. A simpler version of this is to say that, had I written the opening of and the swallow, it might have had a B-flat major chord instead of a B-flat minor chord, which would sound crunchier and less mellifluous. Lots more could be said about this program, and it’s a shame that I won’t get a chance to present all these pieces in one evening, because I really believe they have all sorts of interesting resonances with each other. But the wheels have been churning, and I think I’ve figured out how to scrap this program for parts, leading to many new programs, perhaps even more diverting and ingenious than this one, so stay tuned!